This Turner syndrome support blog post is about self-esteem and personal growth. I remember being a teenager and struggling with low self-esteem. Even up into my forties, I never felt “good enough”. I pursued personal development because I thought if I changed, I would become “good enough”. But something happened along the way. I had a “aha moment” that I didn’t need to grow and change because something was wrong with me. I realized that by going through a metamorphosis of change that I was stepping into the fullest expression of who I was created to be. I no longer grow and change because I’m not good enough the way that I am. I now change and grow because I want to be more effective. In coaching, I always tell women that our “why” is more important than our “what”. Let me give you this example. If you were walking along the sidewalk with your best friend and you come up to a crosswalk at a stop light and out of nowhere, you shove her to the ground, are you being a bad friend? 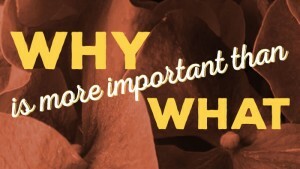 Well, your why is more important than your what. If you shoved her to the ground for no reason then yes, you are most likely being a bad friend. However, if you saw a car out of control that was heading straight for the sidewalk where you friend was standing and you shoved her out of the way to save her from the reckless car, then you are an outstanding friend. So, your “why” is always more important than you “what”. An inch worm is not trying to become something different than what she already is. The DNA of the butterfly pulses through the veins of the inch worm beckoning her to become the fullest expression of who she really is. She is literally compelled to go through the process of change. 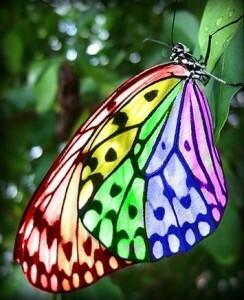 Just like the beautiful butterfly, you are called to be the best version of who God created you to be. However, as you grow and develop and spread your wings, don’t change because you aren’t good enough the way that you are. Change because you want to be more effective with the time that you have here on the earth. You have a mission. You have a purpose. You have a reason for being here on this big spinning globe. Put away the old thoughts that keep you from letting your light shine and spreading your wings to higher heights. You are perfect AND you have an opportunity for personal growth so that you can be more effective and make a bigger impact in your home, in your community and in the lives of your butterfly sisters. I love you all! Fly, butterfly, fly!